Subscription boxes are growing in popularity and more and more are cropping up all the time. I subscribe to several including one featured in today’s post. Each delivery is like getting a gift from me to me. It’s great! This post is for all my fellow Canadian foodies! I’ve rounded up subscription boxes for foodies. Some are meal subscription boxes while others are snack foods. Enjoy! 1. Chef’s Plate: You pick the plan and recipes and Chef’s Plate does the rest. Every week, you can receive up to four meals for either two to four people. Your delivery will come in a temperature controlled box with the ingredients for each meal neatly packaged and ready for you to prepare. I bought the 2-Meal a Week Family plan to feed our family of four. Each week, I log in to my profile and select the two meals I want them to send me. I have four options to choose from. The meals are fairly straightforward to prepare and they break it down with photos of what you need to do for each step. I like that the meals are recipes that I would make for my family regardless. I’ve even loved a few of the recipes so much that I kept the cards so that I could make them again in the future. 2. Hello Fresh. 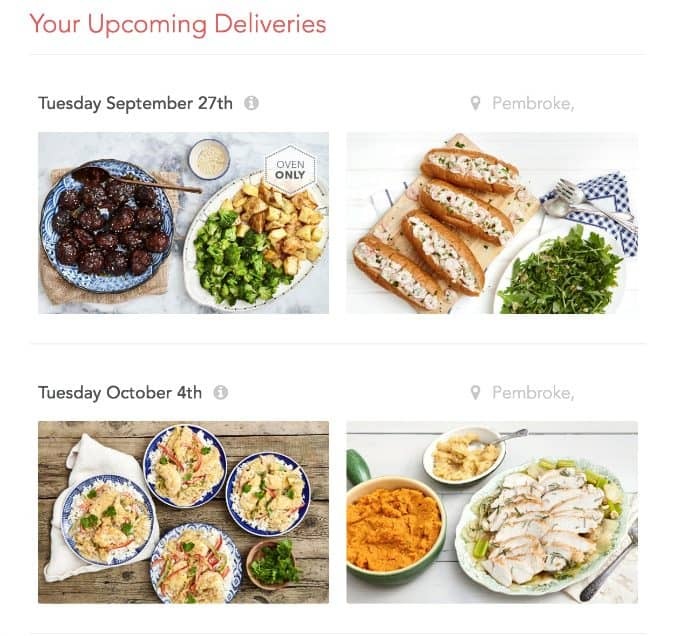 Another option is to try Hello Fresh, a meal subscription box. They offer two plans, Pronto and Family Plan, and will send you the ingredients ready to prepare for your family’s dinner. The Pronto Plan lets you choose between two or four people and you’ll receive 3 meals a week. The Family Plan serves four people and you’ll receive 3 meals a week. I tried Hello Fresh through a campaign I worked on in the summer and was impressed with the quality of ingredients and how delicious the recipes were. 4. RawSpiceBar. Discover new spices to use in your meals from around the globe with this spice subscription box. You’ll receive 3 new spices, recipes and info about each spice every month. 5. Love with Food. 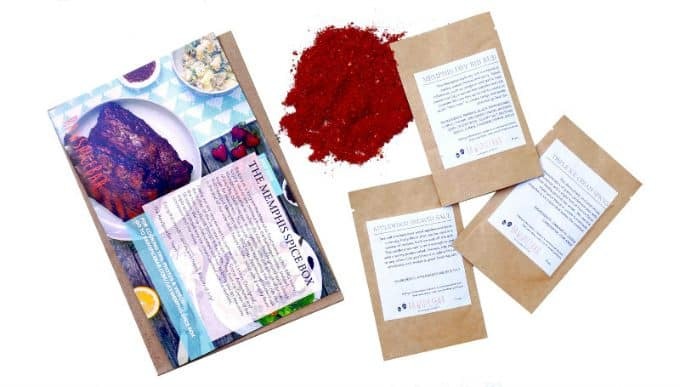 If healthy snack foods are your thing, you need this subscription box. Every month you’ll receive a large assortment of snacks for your family to enjoy. 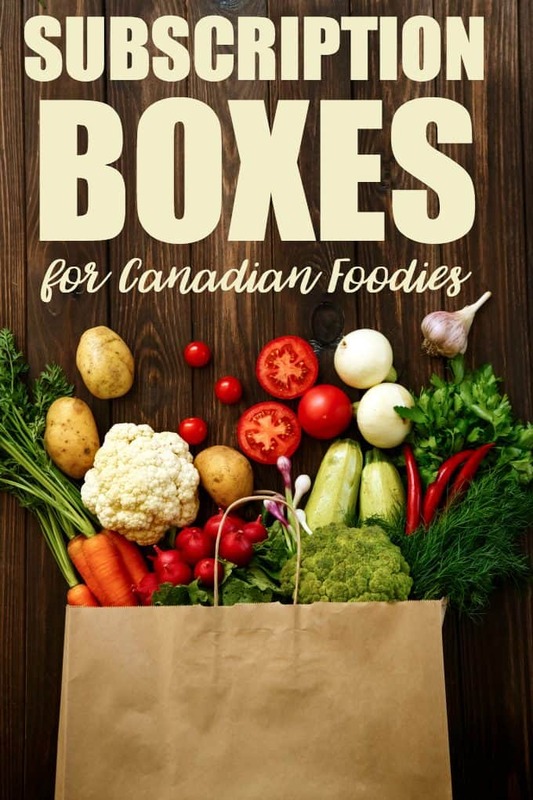 Canadians can choose between the Deluxe or Gluten-Free box. Think lunch snacks for the kiddos or healthy treats to bring with you to work. 6. UrthBox. Receive up to 30 full sized healthy snacks every month valued at up to $100. Choose from one month, three month, or six month subscriptions. Select from Classic, Gluten-Free, Vegan or Diet box options. 7. MunchPak. Receive popular snacks from around the world every month. Choose plans from 5, 10 and 20 snacks a month. illustrated Culture Guide explaining how to enjoy the food. Which subscription box are you most interested in trying?